Stripping and waxing floors sounds crude, but it really isn’t. 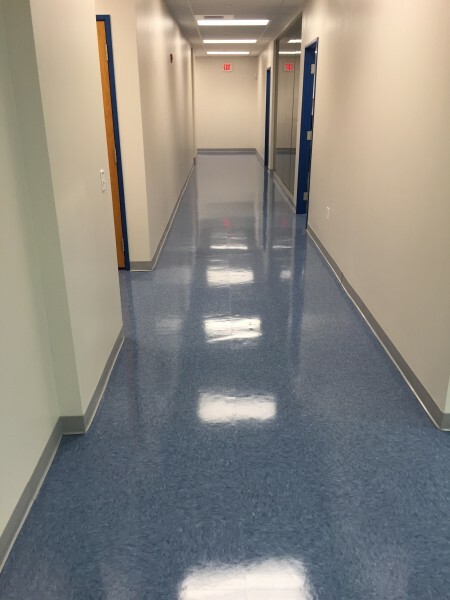 Any commercial building, whether a business office or a doctor’s office can get filthy enough to need this cleaning treatment. These techniques are the proper way to clean out stains that might be set into the floor. That’s where the professionals come in. In this blog we’ll talk about the benefits of stripping and waxing your floors in NJ. Clearly, this is one of the most obvious reasons to employ stripping and waxing floors. Clean floors are happy floors and happy floors mean happy people. Customers and employees are the two kinds of people most important to your business. With more care and maintenance, the floors will also last longer before you will need to replace them. Wear and tear, dirt and grime will all be eliminated. When the floors are shiny enough to see your reflection in them, you’ll be certain a superb cleaning job was done. Stripping and waxing helps keep moisture off the floors. Moisture and other forms of water harms floors. How does water harm a floor? It may not seem evident, but harm comes in the form of bubbling, warping, and other such problems. The floors will be uneven and will rot and darken faster. Slippery, rotten floors are unsafe. But with waxing and stripping, none of this will be a concern. Well, maybe the only concern would be slipping on a freshly waxed floor. After a stripping and waxing treatment, dust can’t settle in either. Since dust can’t collect and clog up in the individual rooms, it makes the rooms that much easier to clean. Trust professionals like Bestway to take care of all your stripping and waxing needs. The professionals are best equipped to deliver this service. The benefits of stripping and waxing floors will surpass any costs involved. In fact, most professional companies will offer you a free quote to help you get an idea of how much it will cost. Bestway has provided New Jersey with top-notch professional cleaning services for over 25 years. We don’t cut corners and ensure that every customer is satisfied with their cleaning. Whether you need a glitter spill cleaned up or an entire office building, we are happy to help! To explore how we can help keep your retail store clean all year long, give us a call at 732-671-8829 or visit us online. This entry was posted on Sunday, February 11th, 2018 at 11:51 pm and is filed under Uncategorized.